Be the first to share your favorite memory, photo or story of Armol. This memorial page is dedicated for family, friends and future generations to celebrate the life of their loved one. Armol Jason Taylor, also known as A. J. or Bob to his friends in Duncan, passed away Tuesday, October 2, 2018 at his home in Duncan at the age of 81. Services will be at 2:00 PM Friday in the Bailes-Polk Funeral Home Chapel with Reverend Harold Metheny officiating. Interment will be in the Duncan Cemetery. The family will receive friends for visitation at the funeral home from 6-8 PM on Thursday. A.J. was born December 10, 1936 in Langley, Arkansas the son of Fred and Inez (White) Taylor. He graduated from the Langley High School in Langley, Arkansas. He served in the United States Army. He and Chiquita Grace met and were married at Borger, Texas. He retired from Halliburton in Duncan in 1994. 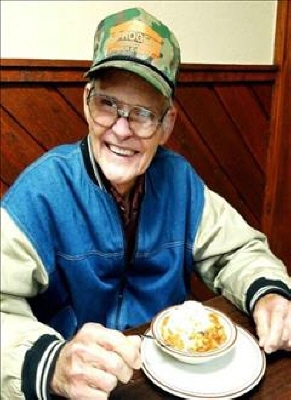 For the past 24 years, he enjoyed woodworking, and making crafts in his shop. He made many amazing toys for his grandchildren. He enjoyed working in his garden, and growing the largest sunflower heads most folks have ever seen. Survivors include his wife Chiquita Taylor of the home in Duncan; his son Donnie Taylor of Duncan; his daughter Charlotte Lee of Duncan; four grandchildren: Caysie Martin, Wesley Taylor, Clayton Taylor Lee and Brittany Ann Smiley; one great-grandchild, Kaylee Martin; two brothers Vernon Taylor of Borger, Texas and Carol Lee Taylor of Langley Arkansas; and four sisters Willa Mae Temple of Camden, Arkansas; Betty Lou Taylor of Amarillo, Texas; Ethel Lee Dollar of Glenwood, Arkansas; and Velda Dodd of Sulphur Springs, Texas. To send flowers or a remembrance gift to the family of Armol Jason Taylor, please visit our Tribute Store. "Email Address" would like to share the life celebration of Armol Jason Taylor. Click on the "link" to go to share a favorite memory or leave a condolence message for the family.